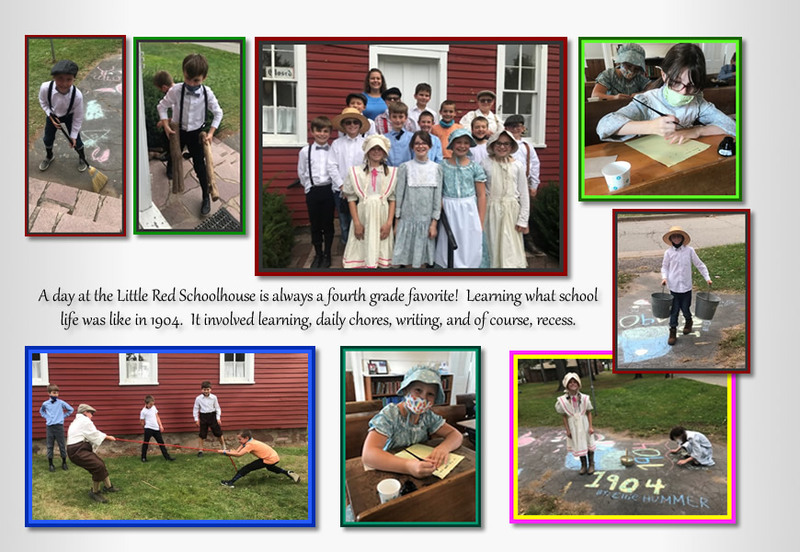 Little Red Schoolhouse: Fourth Graders and Miss Globensky dressed in clothes authentic to days gone by to enjoy their experience at the Little Red Schoolhouse. We are grateful to the Marathon County Historical Society for providing this experience for us. What is important in 4th grade? When it comes to a well-rounded fourth grader, good manners rank up there with mastering cursive writing. Mature communication skills and thoughtful actions are stressed throughout the day, using Jesus as our model. Students take more independent responsibility for organizing and prioritizing their work. Fourth grade is a wonderful year of adventures in learning! A highlight of the year is studying the history of our great state, Wisconsin. Our field trips revolve around this theme when we travel back to the early 1900s to spend a day at The Little Red Schoolhouse; later in the fall we visit an area farm to learn about farming in our community; and finally near the end of the year we travel to our state capital and see where our government leaders work. In Math, we build on previous concepts—such as place value, addition, subtraction, multiplication, division, fractions and so on. We become masters of the basic facts by taking Rocket Math tests. Art projects are integrated throughout the curriculum. Expect your child to be writing often in cursive (but don't be surprised if it loops and jiggles). More importantly, expect more complex ideas as we engage in weekly writing assignments that strengthen our literary skills. Fourth graders still work on mechanics like vocabulary, but look, as well, for strategies that boost understanding as they read. Active participation in Mass helps them to develop leadership skills and master the art of oral speaking. Welcome to 4th Grade. My name is Terese Globensky. 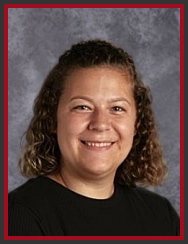 My educational experience began in Chippewa Falls as a graduate of Holy Ghost Elementary School and McDonell Central Catholic High School. I obtained my degree in education at UW-Oshkosh. My first teaching position was at St. Joseph's Catholic School in Boyd, WI. During that time I taught 5th - 8th grades. Traveling east on Highway 29 I discovered the treasure of St. Mary's School nestled in the hills of Marathon. As a teacher I have taught 4th - 8th grade at St. Mary's School. After a nine year period as serving as principal I have returned to where it all began, the classroom. As a fourth grade teacher I believe in the importance of the basic skills of reading, writing and basic math skills. It is my hope that my love of reading and writing will encourage my students to read, read, read, and discover the power of the written word. When I am not teaching, I, of course, enjoy reading a great book, spending time with my extended family, and raveling the roads of Wisconsin and beyond.